I thought I would reply to some comments on my blog with another posting because I want to write at length about this topic. Biology has no distinction for "human being". 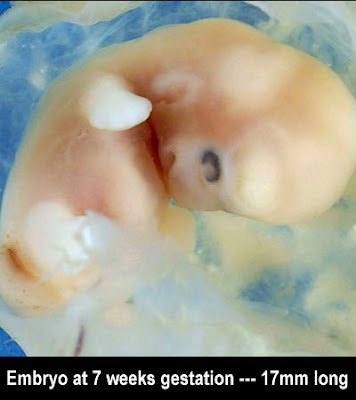 Human fetuses are certainly human, but the concept of "human being" pertains to the concept of personhood - this does not fall under any discipline of science. You hurt your own argument when you purposely or unintentionally use incorrect language. “Human” and “human being” are synonymous in our language. So, in the English language, “human” and “human beings” are synonymous. They refer to any member of homo sapiens. And my contention has always been that fetuses are homo sapiens, or, in plain English—human beings. Logically Speaking of course is trying to say that biology does not address the issue of personhood. He is relying on the ambiguity of the English language to make his point. It is true that biology does not address philosophical issues. But in stating “the fetus is a human being” I am not trying to address that philosophical issue. I am trying to state a scientific fact. I want to establish that abortion takes a human life. I also want to underscore how some supporters of abortion attempt to deny, distort or re-write the laws of science in order to make their moral case. Abortion supporters would be far more honest if they stated the simple truth: abortion kills a human being. 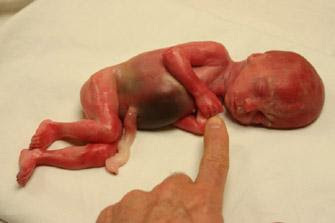 That is, abortion kills a member of homo sapiens. Some of them are honest and will state that fact. They are not proud of that fact. They want to hide that fact because they want to sustain abortion’s cultural and political acceptability. If you examine the speech surrounding pro-aborts’ attitudes towards the unborn, you will see a lot of mental gymnastics. It’s almost like in their minds, first they conclude that abortion is acceptable, then they draw their conclusions about the unborn. 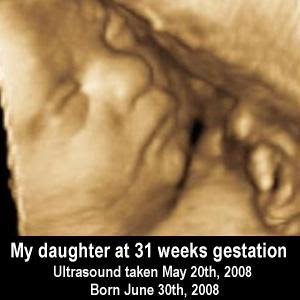 They cannot examine the unborn dispassionately and on a scientific basis, because it would put into jeopardy the legal bases of abortion, because it is objectively and easily provable, using the laws of science that a fetus is a human being. A fetus is an organism. That is easily provable. It is a self-circumscribed entity with replicating DNA that takes in nutrients, grows, and has locomotion. So the question becomes: what kind of organism is it? As per the law of biogenesis, when two members of the same species reproduce, their offspring is always a member of that same species. 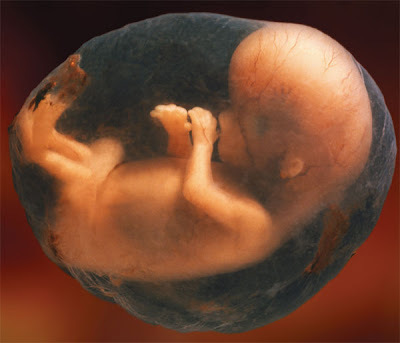 Every born human being on this earth was once a fetus. Organisms do not change species. Ergo, a fetus is a human being. This is not “opinion”. This is scientific fact based on well-established laws. The best sign that something is a scientific fact is that it is always predictable. 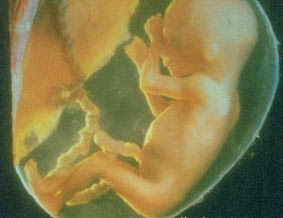 As I said, every human being was once a fetus. This shows that fetushood (to coin a word) is a stage in the life of every human being. It’s not some alien or non-human entity. It is a human being. When pro-aborts attempt to refute these points, they use the ambiguity of the English language to make refutation based on language, not on facts. For instance, if you say “a fetus is a human”, they will say “a skin cell is human, too”. They see the word “human” and substitute the intended meaning of the first phrase, i.e. a member of homo sapiens, with a second meaning of the word, i.e. something that is common to human beings. In effect, they attempt to change the subject, whether they realize it or not. The other thing they do is substitute arbitrary standards for scientific ones. For instance, it is commonly stated that fetuses cannot be human beings because they do not have the features or abilities of an adult human being. That would be a good way of distinguishing one type of species from another. It’s perfectly legitimate to say that a cat is not a bird because it has no feathers or that a dog is not a fish because it has no gills. But an entity cannot be of two species. A caterpillar and a butterfly are two very different creatures, but they are of the same species. They represent different life stages of a butterfly. The same with tadpoles and frogs. If a living entity goes through different life stages looking completely different, then those differences are simply part of the characteristics of that species. So fetushood is just part of every human’s existence. Another problem with debating supporters of abortion—many of whom have a left-wing, post-modern view of the world—is that their minds are so imbued with relativity that there is no such thing as a standard with them. You can’t measure, criticize, evaluate or test anything that they say or is being said because “it’s only your opinion” i.e. “it’s all relative”. In real life, nobody lives as if all information and all morals are relative. You cannot. Implicitly, at the very least, everyone has standards, with the exception of psychopaths. 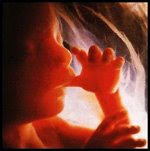 However, pro-aborts do not want to put submit their beliefs about the fetus for evaluation. For one thing, it would be politically unwise. 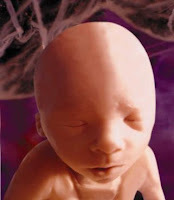 For instance, one might believe, as I do, that a fetus is a human being. Another might not. Another might say that a fetus is a human being under some circumstances, and not others. They would, eventually, clash on the subject. And it would reveal their ideological weakness. For instance, what if one pro-choicer wants an unborn victims of crime bill—because she believes a wanted fetus is a human being-- but another does not—because she believes a fetus is not. That would raise all kinds of questions. And in raising those questions about the real nature of the fetus, pro-choicers would be putting forward opinions about his nature that could be evaluated in the light of science. Mary Talbot—the woman who spearheaded the effort to pass an unborn victims of crime bill-- supports abortion in the first trimester, but she believes that her daughter’s 27-week-old fetus was her grandson. What does the light of science have to say about that? Sure, some might say that it is *her opinion*, and they may not believe that Lane Talbot was her grandson, but the truth is, science can shed some light on those biological relationships. Shedding light on those biological relationships and the nature of the fetus is not something the pro-abortion community is comfortable with. They know that you can’t just say “it’s YOUR opinion” when it comes to science, because science is based on observation and established standards that are in turn based on predictable consequences. 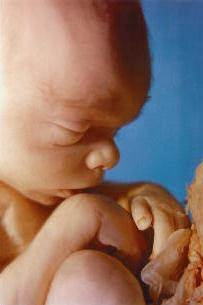 The political acceptance of abortion is based on the supposed “lack of consensus” of the nature of the fetus. If facts are established about the fetus, a social consensus would result. If the scientific community comes out and say “a fetus is a homo sapiens”, then the pro-abortion community would have to accept that consensus or risk being deemed anti-rational. And when that consensus becomes more evident, pro-lifers would be able to evaluate, criticize and argue about it. Instead of having people just say “it’s all relative”, people who support abortion would be forced to defend their views on the fetus. Based on standards, that is, of science. Science has objective and has verifiable laws. 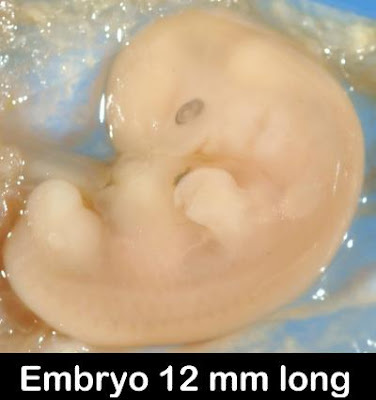 Even though pro-aborts do deny, distort and re-write the laws of science to justify abortion, their revisionism could only go so far, as it would, eventually, conflict with laws of science that have nothing to do with the abortion issue, because all scientific truths are related. 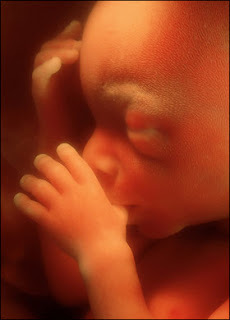 For instance, it is still commonly believe by some less educated individuals that a fetus is a blob of tissue. That myth was widely vehicled throughout the 1980’s to gain acceptance of abortion. Of course that’s not true and the propagation of the ultrasound refuted that belief. Look at any fetus. Eyes, nose, mouth, hands, fingers, limbs, lungs, hearts—these are not the features of a “blob of tissue”. So it is important to hash out the science. If a serious discussion or debate on abortion is to take place, the science must be made clear. A fetus is a human being. That’s a scientific fact.